Luckily the winter hasn’t been that bad this year however my skin has definitely taken a hit. 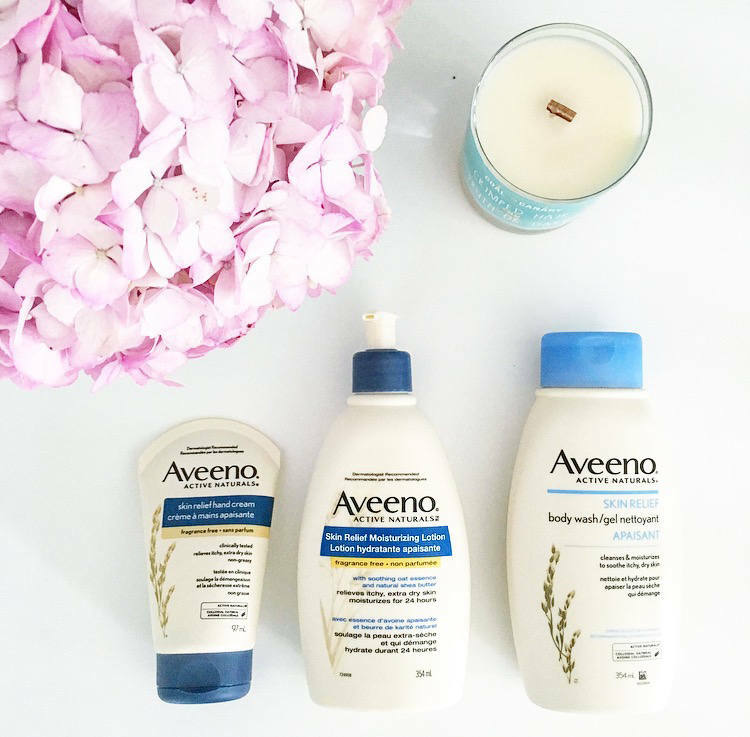 I’ve tried a lot of products, hoping to find something to get rid of the dryness and while I’ve found a few that work AVEENO has proven to be my favourite. It doesn’t overpower you with perfume scents like other products and it just simply works. I noticed after the first few days of using the products that my skin was looking summer fresh and very hydrated. 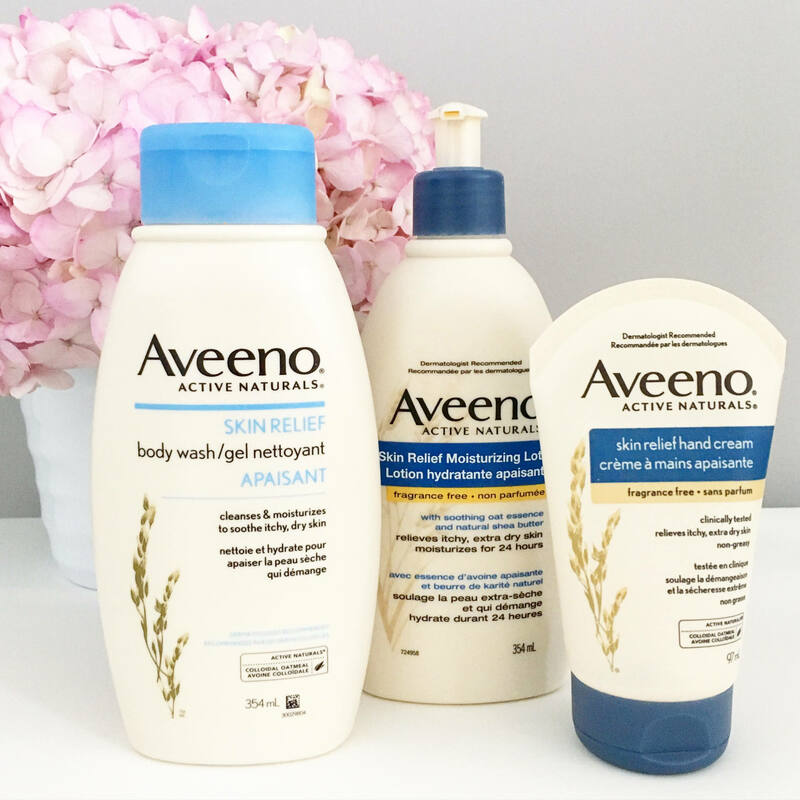 I’ve been using the AVEENO® Skin Relief Moisturizing Lotion, AVEENO® Skin Relief Body Wash and Skin Relief Hand Cream all from the Skin Relief line. If you have sensitive skin or you’re constantly dry then I highly recommend all of these products. They’ve worked wonders for me! I’ve also been using them on my son who has eczema and it seems to be helping quite a bit. I’ve tried so many different products and have found very few that have helped him. Most all natural products haven’t seemed to help and the ones with chemicals tend to irritate his skin. It’s nice to find something that helps relieve the itch for him, he seems so much more content now. A little product goes a long way too, It’s definitely a great value for the cost. All of the products are soothing and have made a huge difference in my skin after only a few weeks. No more dull, dry skin for this girl. Perfect timing as we head to Mexico in a few weeks, I’ll be ready to hit the beach with glowing skin! I received product in exchange for my review, however, all opinions are my own. Next Post Join Us For The @CanadianTire #CanadasGarage Twitter Party! I love when a product does what it’s supposed to do and is gentle enough that my kids can use it too. So happy you found something that works for you and is helping you get your skin ready for Mexico.